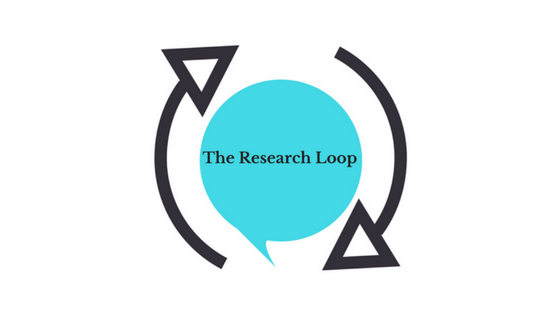 To download a full copy of The Research Loop White Paper and find links to all sections click here. Ioannidis JPA, Greenland S, Hlatky MA, Khoury MJ, Macleod MR, Moher D, et al. Increasing value and reducing waste in research design, conduct, and analysis. The Lancet. 2014;383(9912):166–75. Domecq JP, Prutsky G, Elraiyah T, Wang Z, Nabhan M, Shippee N, et al. Patient engagement in research: a systematic review. BMC Health Services Research. 2014;14(1). McKenzie A., Haines H. Consumer and Community Participation Fact Sheet Series, Second Edition. 2014. Payne JM, Dantoine HA, France KE, Mckenzie AE, Henley N, Bartu AE, et al. Collaborating with consumer and community representatives in health and medical research in Australia: results from an evaluation. Health Research Policy and Systems. 2011;9(1). Briefing notes for researchers: public involvement in NHS, public health and social care research. INVOLVE: Eastleigh; 2012. Kirwan JR, Wit MPTD, Bingham CO, Leong A, Richards P, Tugwell P, et al. Commentary: Patients as Partners: Building on the Experience of Outcome Measures in Rheumatology. Arthritis & Rheumatology. 2016Jun;68(6):1334–6. South A, Hanley B, Gafos M, Cromarty B, Stephens R, Sturgeon K, et al. Models and impact of patient and public involvement in studies carried out by the Medical Research Council Clinical Trials Unit at University College London: findings from ten case studies. Trials. 2016;17:376. Shippee ND, Garces JPD, Lopez GJP, Wang Z, Elraiyah TA, Nabhan M, et al. Patient and service user engagement in research: a systematic review and synthesized framework. Health Expectations. 2013Mar;18(5):1151–66. Tong A, Crowe S, Chando S, Cass A, Chadban SJ, Chapman JR, et al. Research Priorities in CKD: Report of a National Workshop Conducted in Australia. American Journal of Kidney Diseases. 2015;66(2):212–22. Kirwan JR, Wit MD, Frank L, Haywood KL, Salek S, Brace-Mcdonnell S, et al. Emerging Guidelines for Patient Engagement in Research. Value in Health. 2017;20(3):481–6. National Breast Cancer Foundation McKenzie A. From Applications To Outcomes. Consumer and community participation in health and medical research: A resource for researchers and consumer. National Breast Cancer Foundation, Sydney 2014; 10-13. Corner J, Wright D, Hopkinson J, Gunaratnam Y, Mcdonald JW, Foster C. The research priorities of patients attending UK cancer treatment centres: findings from a modified nominal group study. British Journal of Cancer. 2007Jun;96(6):875–81. Chalmers I, Bracken MB, Djulbegovic B, Garattini S, Grant J, Gülmezoglu AM, et al. How to increase value and reduce waste when research priorities are set. The Lancet. 2014;383(9912):156–65. Chalmers I, Glasziou P. Avoidable waste in the production and reporting of research evidence. The Lancet. 2009;374(9683):86–9. Harrington R, Hareendran A, Scott A, Berner T, Camp R, Wheeler R, et al. Patient Engagement in Health Outcomes Research: A Snapshot from the ISPOR Community. Value & Outcomes Spotlight. 2016;September/October:11–4. Allard J, Durand C, Anthony SJ, Dumez V, Hartell D, Hébert M-J, et al. Perspectives of Patients, Caregivers and Researchers on Research Priorities in Donation and Transplantation in Canada. Transplantation Direct. 2017. Boote JD, Dalgleish M, Freeman J, Jones Z, Miles M, Rodgers H. ‘But is it a question worth asking?’ A reflective case study describing how public involvement can lead to researchers’ ideas being abandoned. Health Expectations. 2012;17(3):440–51. Moher D, Glasziou P, Chalmers I, Nasser M, Bossuyt PMM, Korevaar DA, et al. Increasing value and reducing waste in biomedical research: whos listening? The Lancet. 2016;387(10027):1573–86. Jinks C, Carter P, Rhodes C, Taylor R, Beech R, Dziedzic K, et al. Patient and public involvement in primary care research – an example of ensuring its sustainability. Research Involvement and Engagement. 2015;2(1). Tallon D, Chard J, Dieppe P. Relation between agendas of the research community and the research consumer. The Lancet. 2000Jun10;355(9220):2037–40. Public Involvement in research: values and principles framework. INVOLVE: Eastleigh; 2015. Evans B, Bedson E, Bell P, Hutchings H, Lowes L, Rea D, et al. Involving service users in trials: developing a standard operating procedure. Trials. 2013;14. Glasziou P, Altman DG, Bossuyt P, Boutron I, Clarke M, Julious S, et al. Reducing waste from incomplete or unusable reports of biomedical research. The Lancet. 2014;383(9913):267–76. Chalmers I. What do I want from health research and researchers when I am a patient? BMJ. 1995May20;310(6990):1315–8. Natland S, Tveiten S, Knutsen IR. Hvorfor skal pasienten medvirke i forskning? Tidsskrift for Den norske legeforening. 2017;137(3):210–2.Translated to English on the site: Why should patients participate in research? World Health Organization. Declaration of Alma-Ata, 1978. Available from: http://www.euro.who.int/en/publications/policy-documents/declaration-of-alma-ata,-1978. Mckenzie A, Alpers K, Heyworth J, Phuong C, Hanley B. Consumer and community involvement in health and medical research: evaluation by online survey of Australian training workshops for researchers. Research Involvement and Engagement. 2016Sep;2(1). Oliver S, Liabo K, Stewart R, Rees R. Public involvement in research: making sense of the diversity. Journal of Health Services Research & Policy. 2015;20(1):45–51. Uhm S, Liabo K, Stewart R, Rees R, Sandy O. Patient and public perspectives shaping scientific and medical research: panels for data, discussions, and decisions. Patient Intelligence. 2012;4:1–10. Macleod MR, Michie S, Roberts I, Dirnagl U, Chalmers I, Ioannidis JPA, et al. Biomedical research: increasing value, reducing waste. The Lancet. 2014;383(9912):101–4. Gooberman-Hill R, Burston A, Clark E, Johnson E, Nolan S, Wells V, et al. Involving Patients in Research: Considering Good Practice. Musculoskeletal Care. 2013;11(4):187–90. Stewart RJ, Caird J, Oliver K, Oliver S. Patients’ and clinicians’ research priorities. Health Expectations. 2010;14(4):439–48. Innovative Medicines Initiative. A short guide to successful patient involvement in EU-funded research: Lessons learnt from the U-BIOPRED project. European Federation of Pharmaceutical Industries and Associations. 2016. Portalupi LB, Lewis CL, Miller CD, Whiteman-Jones KL, Sather KA, Nease DE, et al. Developing a patient and family research advisory panel to include people with significant disease, multimorbidity and advanced age. Family Practice. 2017;1–6.